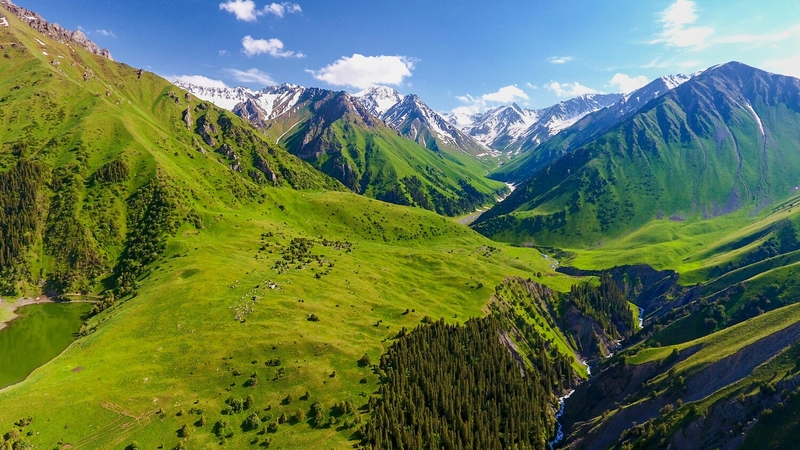 We invite you to travel to the Central Tien-Shan, Teskey Ala Too range. You will discover all secrets and beauties of Issyk-Kul Lake surrounding area. 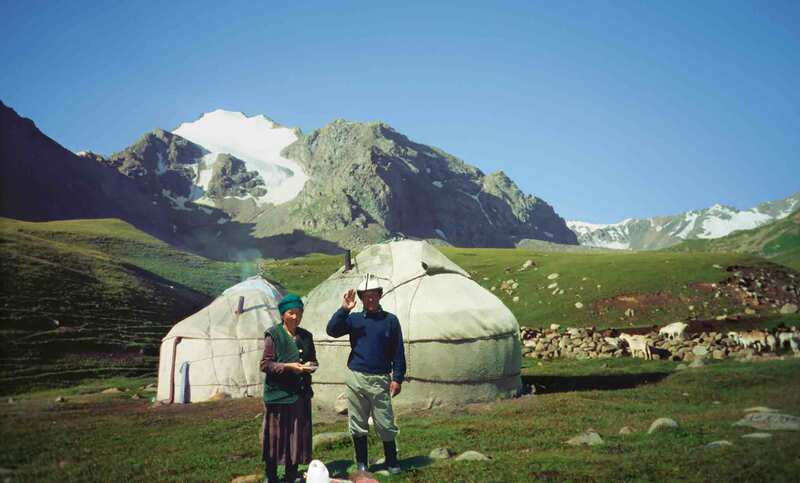 Meeting with a local peoples and learn about nomadic life in the mountains. A lot of adventures during horseback riding is waiting for you . Transfer to Suttu-Bulak camp, up to 380 km. Meeting at Manas airport with our guide. 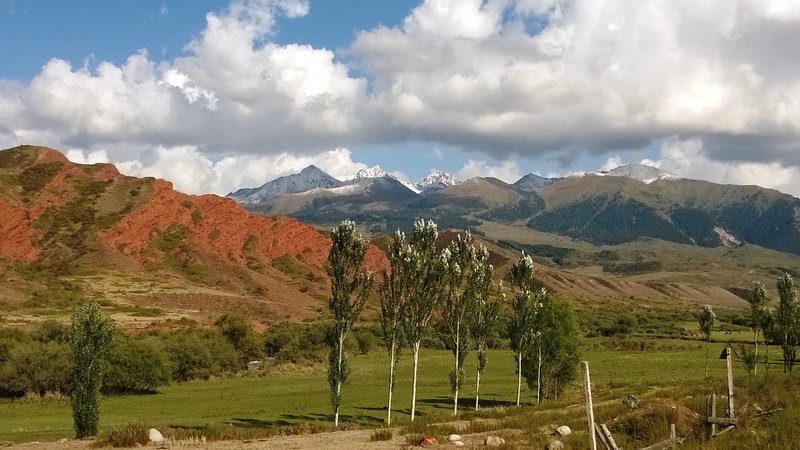 Transfer to south shore of Issyk-Kul Lake where our camping is situated in the mountains. By the way we will visit Skazka (Fairytale) Canyon and Barskoon Gorge for bit hiking. Lunch near the river in mountain gorge. Continue to drive and arrival to Suttu-Bulak for dinner. Night in tents. 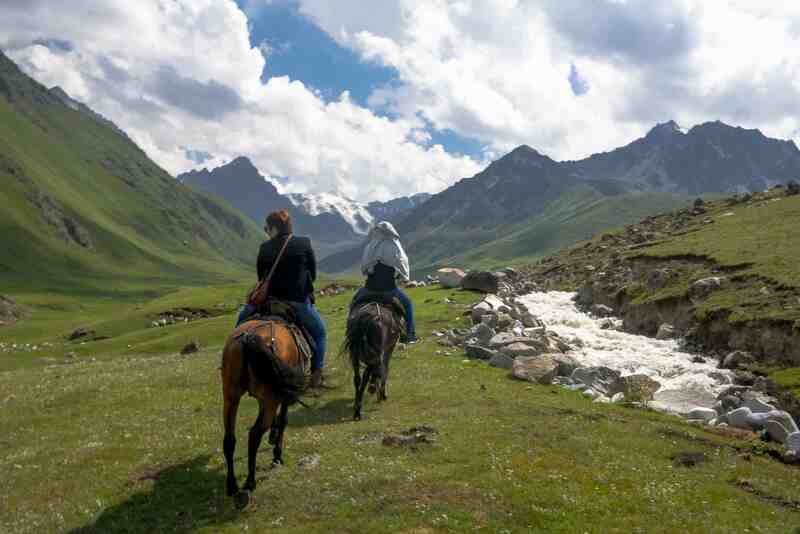 Horseback riding to Kichi Kyzyl-Suu Gorge, up to 12 km. After breakfast meeting with horse riding guide and start our trip to Kichi Kyzyl-Suu Gorge. Picnic in gorge. We will cross the river and build our camp. Diner and night in tents. Horseback riding to Juukuchak Gorge, up to 14 km. After breakfast start our trip through Chong Kyzyl-Suu Gorge to Juukuchak Gorge. Picnic near the eponymous mountain river. Visiting hot springs. Build camp in forest in gorge. Dinner and night in tents. 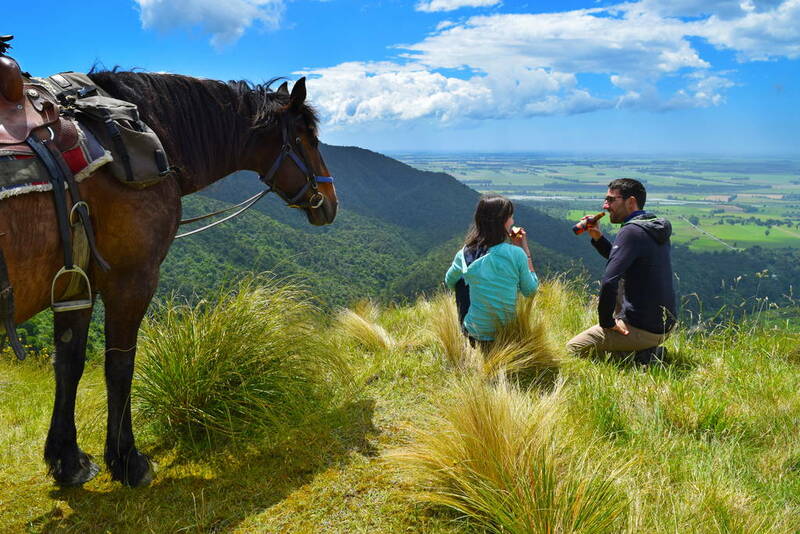 Horseback riding to Juuku Gorge, up to 12 km. After breakfast continue to horseback ride to Juuku Gorge. Picnic in gorge. We will discover Dungoromo mountains. Build camp before mountain pass. Dinner and night in tents. From Juuku Gorge to Dongoromo Syrts, up to 15 km. After breakfast we will cross mountain pass and meet local nomads. Picnic in family yurt. Continue to horse ride to Lake Chokoli, there we will build camp. Dinner and night in tents. From Dongoromo Syrts to Kumtor valley, up to 13 rm. 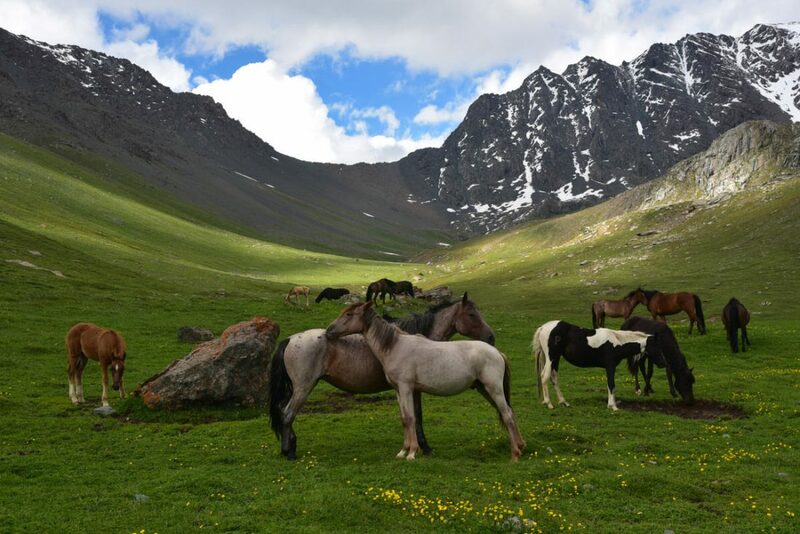 After breakfast we will horse ride to Ak-Shirak mountains. Picnic on the way before mountain pass. From here we will discover Kumtor valley. Dinner and night in tents in the valley. 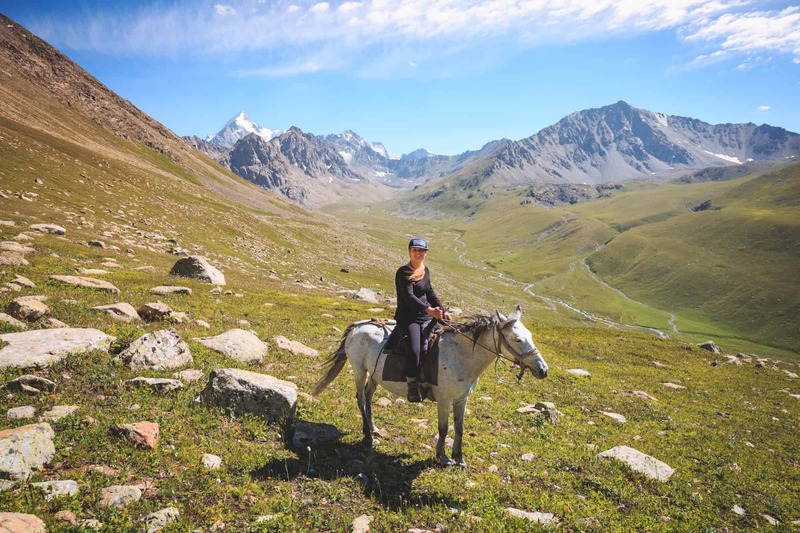 Horseback riding to Ak-Bel Pass, up to 15 km. Radial horse riding trip to Ishtyk Pass, up to 11 km. 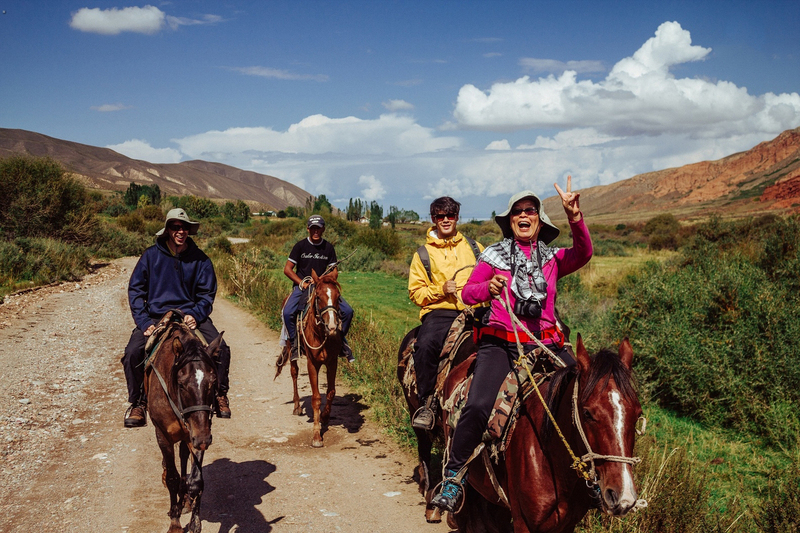 After breakfast we will horse ride across the river to mountain pass of Ishtyk. Enjoy the scenery. Picnic and back to the camp. Dinner and night in tents. Transfer to Karakol, up to 190 km. After breakfast we will meet our driver and drive to Sook Pass at 4020 m. Continue to drive through Barskoon (Arabel) Syrts and Barskoon Gorge to south shore of Issyk-Kul Lake. Picnic on the way in gorge. Arrival in evening to Karakol. Dinner in cafe. Night in guest house of local family. Transfer from Karakol to Bishkek, up to 420 km. After breakfast we will drive to north part of Issyk-Kul Lake. By the way we will visit Cholpon-Ata and stop for lunch in cafe. Continue to drive through Boom Gorge to Chuy valley. Visiting The Burana Tower. This is a unique minaret, built in the 11th century in the medieval town Balasagun, the capital of prosperous Karakhanid State. Arrival in Bishkek. Farewell dinner in cafe, night in hotel. Transfer to Manas airport, up to 30 km. At the morning transfer from Bishkek to Manas airport. Fly home. The program is indicative. It is subjected to any changes in the functions of flight schedules, weather conditions and other unforeseen conditions. Provide your personal medicament because the guide has only a basic pharmacy. Medicament for stomach, headache, cold, external wounds. 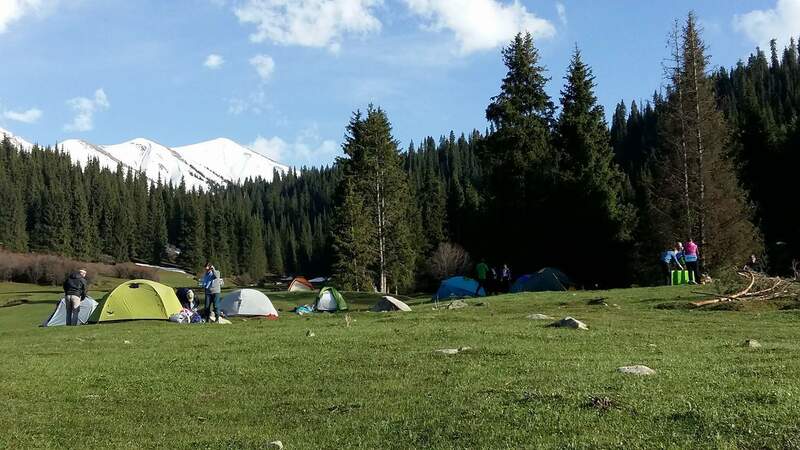 Prepare your own sleeping bags, warm clothes, raincoats and trekking shoes for the trekking days. Weather is changeable and cold at nights.